We all know that no event is complete without some outstanding entertainment. That's where we come in! RUBY TALENT PRODUCTIONS is an entertainment company founded by "KymBerli" Green specializing in providing quality entertainment for various events. RUBY TALENT PRODUCTIONS features "KymBerli". She is an internet and locally discovered vocalist, recording artist and actress, who has over 15 years of entertainment experience. She specializes in R&B, jazz, contemporary gospel and neo-soul sounds, hostessing and comedy. RUBY TALENT PRODUCTIONS is available for all of your entertainment needs. Need a hostess/host, vocalist, or actress/actor? Don't hesitate to contact us! We will definitely give you quality service at affordable prices! Whether it's a church social, school fundraiser, festival, family reunion or talent show, let us know how we can make your event a memorable one! "Let Your Talents Shine Like a Ruby!" To help talented individuals acknowledge, understand, hone and share their talents! is a well known, internet and locally discovered vocalist, recording artist, and actress. She has been performing for over 15 years in and out of town and has been featured in several motion pictures, stage productions, festivals, shows and T.V. specials. KymBerli has performed for many political figures in Atlanta. She has sang for Cathy Cox, Lou Walker, Vernon Jones, Gwen Keyes, and Stephanie Stuckey-Benfield. KymBerli also trains aspiring artists actors in Artist Development and Theatrical Arts. She teaches many techniques such as, vocal variety, stage presence, endurance, stage directions, character arc, character analysis, emotion, tips for an audition and much more! KymBerli specializes in R&B, jazz and neo-soul sounds, is extremely comedic and can host any event with ease. She truly enjoys performing and is a true entertainer! definitely reel you into her world! KymBerli was born Kimberly Denise Quillian, February 5, 1980, Atlanta, GA. Her gift of singing was discovered at the tender age of 2, when her Mother, Autherine Quillian, heard her singing "Thriller" by Michael Jackson in their car. Her Mom then knew KymBerli's true calling would be to sing! At age 8, KymBerli began singing lead in the youth choir at First Church of Christ Deliverance. There, she helped coordinate all of the youth events and activities. When KymBerli turned 13, she joined a 2 year established female hip-hop group named "MixMatch". She was in the group only 6 months and soon became the lead voice. The group performed in many venues throughout Atlanta. Their most successful was the "Sweet Auburn Festival" in 1993. To enhance KymBerli's talents and skills, her Mother enrolled her in the Dekalb Center for the Performing Arts at Avondale Highschool. KymBerli was trained in several Performing Arts areas such as dance, vocal, drama, improv, screenplay writing and directing. Kymberli also majored in music and minored in art at Georgia Military College in Fort Mcpherson, GA. She received her vocal coaching from the world renowned vocal trainer, Robin Brown and artist development training from Ci'nique Artist Development. During her teen years, KymBerli performed in several showcases in and out of town including "The Ci'nique Artist Development Showcase", "The AllStars Talent Showcase" and "The American Talent Showcase", held in Charlotte, North Carolina. In all shows, KymBerli won first place with her powerful vocals! And KymBerli was the opening act for jazz vocalist, Will Downing in the "New Orleans Jazz and Heritage Festival". As KymBerli's singing career took a more professional direction, performing at numerous events and arenas, she was asked to sing for many political figures in Atlanta. She has performed for Cathy Cox, Lou Walker, Vernon Jones, Gwen Keyes, and Stephanie Stuckey-Benfield. KymBerli was also featured in the hit motion pictures "Drumline", "The Fighting Temptations", "Dumb and Dumberer", "The Gospel" and “ATL”. KymBerli has also been in many stage productions and most recently, was a guest vocalist on the Gospel T.V. show, WATC Channel 57. KymBerli has honed her hosting, vocal and acting skills which sets her apart from the rest when it comes to being the guest entertainer at any event. She is a dynamic perfomer and loves the stage! Currently, she vocal coaches as well as teaches theatre and artist development and enjoys showing our youth and young adults how to be confident in their gifts and how to command the stage! Note: You may request for our performer to host your event as themselves or as a theatrical comedic character. When booking a host, please specify which you prefer. Do you live for the stage and love to entertain, but haven't got the full expertise on how to really captivate your audience? We can help! Ruby Talent Productions specializes in showing aspiring vocalists how to own the stage. Our training is intense and rigorous, but well worth it. You'll learn and master many skills and techniques such as endurance, breathing technique, vocal variety, how to properly hold a mic, proper usage of the diaphram, and much more! In the acting classes, you will master improvisational skills, stage directions, character analysis, character arc, the origins of theatre, emotion, and tips for an audition! Our 90 minute trainings are intense and rigorous, but worth it! You will get the "know how" on all of the factors listed above. Artist Development classes are held on the 2nd and 4th Saturday of every month and Acting Classes are held on the 1st and 3rd Saturday of every month at an affordable rate of $55 per month. So, think about it! You get 2 classes for $55! Now if you share a love and passion for both singing and theatre, you can attend all four classes for only $80 per month! What a deal! Auditions for the theatrical production,"SO YOU TRYIN' TO BE A PLAYA!" will be posted soon! Check this site periodically for details on the exact dates, locations and times for the auditions. In the meantime, get yourself aquainted with the audition requirements and procedures that are posted below. Also, read the synopsis and familiarize yourself with the story line of the play! God Bless! Each individual, nomatter what your specific talent may be, will be asked to do a cold reading from the script. Even if acting is not your specialty, doing a cold reading helps us to determine what acting potential you may have. Please be advised that the auditions are done by appointment only. If you filled out your contact info on our database form at an event or saw our posting on a casting site, you will be contacted via email or phone call regarding an audition time slot. If you are just simply visiting our website, you can send your photo and resume/bio to our email address and we will contact you as well, regarding an audition appointment. Auditions are held in 10 minute blocks. Please bring with you to the audition a recent headshot or clear photo of only you (no family pictures please), a resume and/or bio. You must supply your own music for your audition. There will be a sound system available for you to play your music on. AUDITIONS ARE ABOUT SHOWCASING YOUR TALENTS, MEANING, RELAX, BE COMFORTABLE AND DO YOUR VERY BEST!!! KNOW WHO ARE AND BE JUST THAT!!! See below the requirements and procedures. Please follow the guidelines to ensure a successful audition process. Prepare to sing a cover song that you feel will showcase your range, style and vocal technique (NO ORIGINAL MUSIC PLEASE). You must bring your own music. Accepted formats are cd, mp3 player, ipod, flashdrive, or sd memory card. You may also be asked to sing a selection acapella. Prepare to peform a monologue with a dramatic or comedic theme. You may perform both styles if you choose. You can search the internet for various monologue selections. Please do not perform an original monologue. You will be asked to do a cold reading fom the script as well. Prepare to play a slow to moderate tempo selection as well as an upbeat selection. You must bring your own instrument. Tagline: How does a man cope with a broken heart? “SO YOU TRYIN’ TO BE A PLAYA!” is an inspirational stage play written and directed by Kymberli Green, that incorporates the importance of change in one’s heart. The story centers on Mike Mitchell, a very handsome and charming 27 year old paralegal. Mike works for Lowe’s Law Firm under Mrs. Lowe. Mike is a good guy turned bad! He was the caring, loving type once upon a time, but had been hurt so much in past relationships, that he allowed the pain to consume him and he simply gave up on falling for a girl ever again. Because Mike did not trust in God, that He would send the woman that was created and designed for him, he makes the decision to go this route. Mike’s mind set is “get it and move on!” He even damaged his relationship with his mom because of his new lifestyle. Mike has three best friends that he’s very close with. Joe is 31 and is like the big brother of the four. He has a sound mind and spirit. Joe doesn’t at all like Mike’s perception of women and how he’s treating them and tries constantly to help Mike see the light. Casey is 26 and thinks like Joe. Casey wants Mike to change and hates the way Mike treats women as well. Then there is Terry. Terry is 28 and still lives at home with his mom, can’t keep a job, and has no car, yet he thinks he’s a ladies’ man. Terry agrees with everything that Mike does or says. He’s like Mike’s sidekick. Mike is a hard worker at the law firm and has been working there for 5 years. But Mrs. Lowe hires a beautiful, 28 year old young lady named Samantha Davis, as the firm’s new receptionist. Mike immediately can’t contain himself once he meets her, but of course his goal is one thing and one thing only; get her and play her! What he doesn’t know is that Samantha is unlike any woman he’s ever met. She’s saved, sophisticated and a real lady. Mike tries to put his moves on Samantha, but she lets him know what she’s about. They eventually have a heart to heart and as they talk, Mike shares with her why he became a player and he also learns that Samantha attends the same church as his mom. Samantha invites Mike to church in hopes of sparking a desire of change in his heart and to reunite him with his mom. Mike is hesistant and first, but listens to Samantha, and agrees to go to church with her. Later, the reunion with Mike and his mom happens beautifully and is restored by the hands of God. As time progresses Mike doesn’t hear from Samantha for weeks and of course he thinks she’s playing games with him. But Mike doesn’t know that Samantha has found out she has breast cancer and has isolated herself from everyone because of her fear. After countless attempts to contact Samantha, Mike finally gives up and he feels betrayed and wants to go back to the way he was; a player! But Samantha stops by his place and Mike lets out a rage of anger because of her not calling him, she stops him in his tracks and reveals her illness to him. He then calms down and lets her know that he will be in her corner every step of the way. Samantha goes through 6 months of chemo and every one supports her and prays for her. She is finally free of cancer and her life is a testimony! Mike completely changes his ways and becomes a true man of God. His friends are proud of his change and of course so is his mom! Overall, the goal of this production is to convey the message that change can happen if one truly surrenders their heart to God and truly puts their trust in him and that He is a healer indeed! KymBerli is a Georgia native and is a well known, internet and locally discovered vocalist, recording artist, and actress. She has been performing for over 15 years in and out of town and has been featured in several motion pictures, stage productions, festivals, shows and T.V. specials. KymBerli also trains aspiring artists and actors in Artist Development and Theatre. She teaches many techniques such as, vocal variety, stage presence, endurance, stage directions, character arc, charcter analysis, emotion, expression, tips for an audition and more! KymBerli specializes in R&B, jazz, contemporary gospel and neo-soul sounds, she is extremely comedic and can host any event with ease. She truly enjoys performing and is a true entertainer! So, whatever your special event may be, KymBerli is available to make your event a memorable one! Whenever she hits the stage, she will definitely reel you into her world! KymBerli has been performing professionally since the age of 12 and has been rigorously trained in Artist Development over the years. She was vocally trained by the world renowned vocal coach, Robin Brown, who has trained such greats as Whitney Houston, TLC, Brandy, Monica and a host of other household names. KymBerli was also trained at Ci’nique Artist Development where she received most of her performance enhancement skills such as, how to properly hold a mic, vocal technique, commanding the stage, breathing technique and how to perform with a band. To hone her skills as an actress, she was enrolled in the Dekalb Center of the Performing Arts at Avondale High school. KymBerli was trained in improv, directing, playwrighting, theatrical arts, and stage directions. She went on to further her education in theatre and music at Georgia Military College. ACTING CLASSES AND ARTIST DEVELOPMENT ARE NOW BEING OFFERED!!! These classes will be a great benefit to any individual who has a love and passion for theatre and music and wants to learn more! Acting classes will be held every 1st and 3rd Saturday of every month and Artist Development classes will be held every 2nd and 4th Saturday of every month. The classes are 90 minutes long. If you would like to take both classes and attend every Saturday you will only pay $80 per month! To encourage talented individuals to acknowledge, understand, hone and share their gifts with the world! Everyone knows that no event is complete without oustanding entertainment. That's where KymBerli Dee comes in! Who is KymBerli Dee? She is an internet and locally known vocal sensation with nearly 20 years of entertainment skills under her belt! KymBerli Dee specializes in R&B, jazz, neo-soul and contemporary gospel sounds, hostessing, acting and comedy. KymBerli Dee is always available for your entertainment needs! And when the RTP Band joins her on stage, you'll definitely be in for a treat! Whether you're having a church social, school fundraiser, festival, family reunion, talent show or for just any occassion, KymBerli Dee will give you quality entertainment at affordable pricing! Make your next event a memorable one by booking KymBerli! 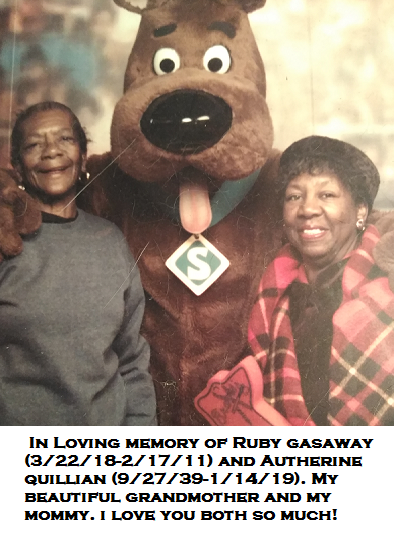 Ruby Talent Productions is a newly founded entertainment company started by KymBerli in 2011.The company was named after KymBerli's Grandmother, Ruby Mae Gasaway. Her Grandmother was a woman of great faith and love and taught KymBerli to trust God and to never give up on her dreams of singing and acting. Those words resonated in KymBerli's spirit... Why? Because deep inside, KymBerli had given up. She had allowed negative thoughts and negative people to supercede what God had already put in her and what she knew she was destined to do. RUBY TALENT PRODUCTIONS is about finding your gift and once it's recognized, share it and bless others with it! KymBerli's goal is to let other gifted individuals know that sometimes you may get discouraged and even a little "side swiped" here and there, but NEVER lose focus of the plans God has for you!!! KymBerli Dee was born Kimberly Denise Quillian in Atlanta, GA. Her gift of singing was discovered at the tender age of 2, when her Mother, Autherine Quillian, heard her singing "Thriller" by Michael Jackson in their car. Her Mom then knew KymBerli's true calling would be to sing! At age 8, KymBerli began singing lead in the youth choir at First Church of Christ Deliverance. There, she helped coordinate all of the youth events and activities. When KymBerli turned 13, she joined a 2 year established female hip-hop group named "Mix Match". She was in the group only 6 months and soon became the lead voice. The group performed in many venues throughout Atlanta. Their most successful was the "Sweet Auburn Festival" in 1993. To enhance KymBerli's talents and skills, her Mother enrolled her in the Dekalb Center for the Performing Arts at Avondale High school. KymBerli was trained in several Performing Arts areas such as dance, vocal, drama, improv, screenplay writing and directing. And she received her vocal coaching from the world renowned vocal trainer, Robin Brown. During her teen years, KymBerli performed in several showcases in and out of town including "The Ci'nique Artists Development Showcase", "The AllStars Talent Showcase" and "The American Talent Showcase", held in Charlotte, North Carolina. In all shows KymBerli won first place with her powerful vocals and acting skills! KymBerli was also a featured guest vocalist, in the "New Orleans Jazz and Heritage Festival" in 1999. As KymBerli's singing career took a more professional direction, performing at numerous events and arenas, she was asked to sing for many political figures in Atlanta. She has performed for Cathy Cox, the late Lou Walker, Vernon Jones, Gwen Keyes, and Stephanie Stuckey-Benfield. KymBerli was also featured in the hit motion pictures "Drumline", "The Fighting Temptations", "Dumb and Dumberer", "The Gospel", and "ATL". She released her first album titled, "Spinning" in 2005, on CDBaby.com. Once it hit the internet, it was sold out in its first week! Listeners made rave reviews about the album because of its unique blend of Hip-hop, R&B and Soul. KymBerli wrote every song on the album and the lyrics are phenomenal! KymBerli was a featured artist on the radio station 91.9 THE BUZZ. Her singles “Sadly Mistaken” and “The Spinnin’ Remix” put her in the Top 20 most requested songs in Statesboro, GA and she has gained a mass amount of fans at Georgia Southern University. She also was featured in the stage play “Finding the Right Ones” which was held at the Riverdale Town Center. KymBerli not only wrote 4 songs for the production, she also was the assistant director to Cycerli Ash and the main vocalist. KymBerli Dee now holds the #19 spot in the R&B category on ReverbNation were she has over 800 fans on the site alone! She is currently working on completing her EP which will debut her latest recorded single “Wastin’ Time” and this single has recently been added to all music sites! KymBerli is also working with Terry Milla, owner of 100 Trillion Entertainment, on his upcoming album project, where she lends her sultry vocals. She continues to "wow" audiences where ever she performs! You can hear other samples of KymBerli’s music on numerous music sites such as Google Play, iTunes, Amazon, Spotify, CD Universe, Emusic, CDBaby.com and more! Her single “Sadly Mistaken” can be heard on the Women In Charg3 radio Station which runs 24/7 via TuneIn.com. KymBerli now has her own band, called the RTP Band, consisting of the awesome talents of drummer, Rodrekus Moss and keyboardist, James Searcy. Together, they have rocked the stage at the Decatur National Night Out Festival as well as headlined the Taste of Suwanee Festival and recently headlined The Atlantic Station Tree Lighting for 2018. KymBerli says that her goal is to inspire others to follow their dreams and never give up. KymBerli also teaches youth and young adults artist development as well and expresses to them through her teaching that they can be successful in the entertainment industry without having to compromise their faith, dignity or character! Now that KymBerli's mother, Autherine, has gone to be with the Lord, her ultimate goal is to honor her mother by continuing to pursue her dream and follow the path that God has put before for her. LISTEN, STREAM OR DOWNLOAD KYMBERLI'S MUSIC FROM THESE SITES! Type in Keywords:"KymBerli Spinning Album" to hear other samples of KymBerli Dee's Music! October 27th 2014-KymBerli Dee was the opening vocalist at the Riverdale Town Center for the theatrical production, "Finding The Right​​ Ones"
​October 10th/December 10th 2015- Guest Interview on Marc My Words Radio Station, hosted by Marc Willis and with Co-host Lyn Liechty, based in the UK!​​ It was aired from 1pm-3pm Eastern Time, but 6pm-8pm for the UK time zone. There will be more interviews to come! Click on the sound bar above to hear a sample of KymBerli Dee's music!